Recently, heavy rains falls over Bandung area. I really have to be alert to the erratic weather conditions these days. If heavy rain falls for more than two hours, then I must get ready to encounter crowded streets which might moved crawlingly. That’s what happened the other day. Depart from home as usual, I shortly found out that apparently it was a terrible idea. The usual road that I use daily was already crowded by all kinds of vehicles, all of whom want to hasten to arrive at their destination. Many of the vehicle were finally stuck on the road, can’t even move even further. The road was overflow by every kind of vehicles that came from the other roads that flooded which make it impossible to be through. 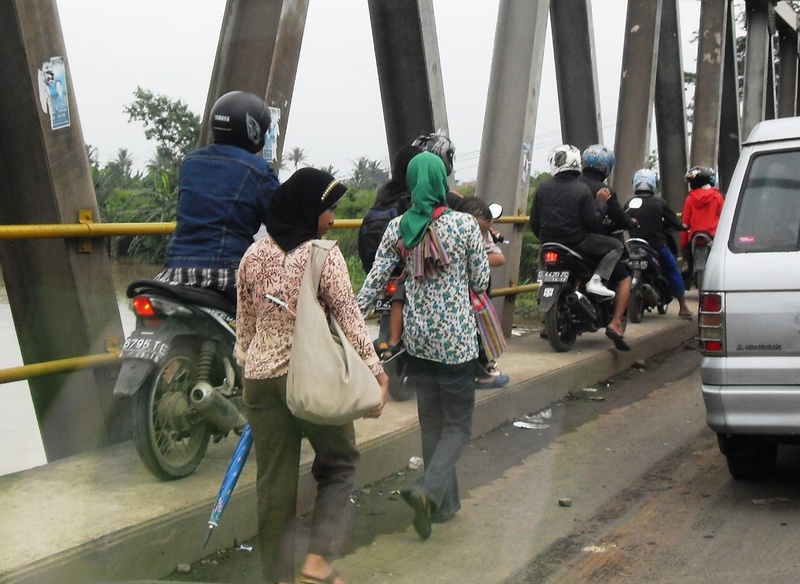 Speeding bikers, took all the road side, make it quite impossible for the vehicles from the opposite direction to pass through. And to make it even worse, they even use the road allocated for pedestrians. Pedestrians are forced even succumb to them. How could they…? I myself, finally could not do anything and just resigned to it. Eating snack and drink that I brought from home, even took time to finish reading the magazine I had brought. I really can do all that in the midst of such heavy traffic. Reading while driving the vehicle? Haha … I won’t do it when the vehicle runs on the road. I also spare some time to take many many pictures around. 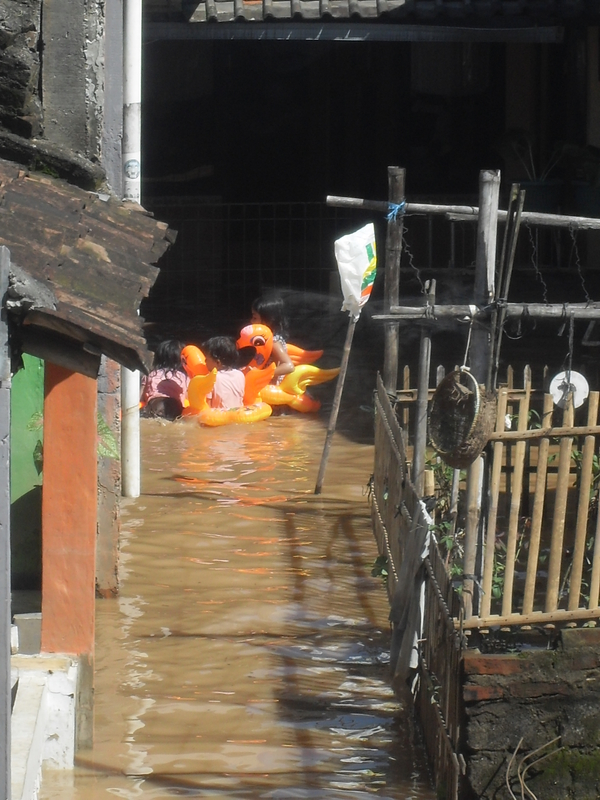 This entry was posted in daily digest and tagged bandung, flood, Indonesia, school, traffic. Bookmark the permalink.